Volume #1 of A. Robert Allen's Slavery and Beyond Series- Stories tackling race relations during times leading up to or immediately following the end of slavery. What if the only way to survive your life is to go back in history and right the wrongs of two other men's lives? The French Caribbean in 1790: Biracial plantation owner Patrice Beaumont is known as a "kinder" slave master committed to ending slavery, but his actions don't back-up his words. Is being the "best of the worst" all he's capable of? 1863 New York City: Irish street fighter Patrick Allen is days away from the biggest fight of his career, when the Draft Riots ignite dangerous racial conflicts around the city and deadly acts of violence by Irish gangs. Never one to take sides outside the ring, he steers clear of the angry mobs. So when he stumbles on a lynching in progress, who can expect him to do anything more than look away? 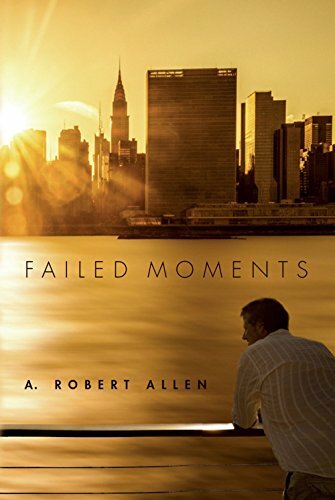 Tackling race relations from a unique perspective, Failed Moments is a thought-provoking adventure that questions the measure of a man not by his decision to do no harm, but his willingness to act on what is right.